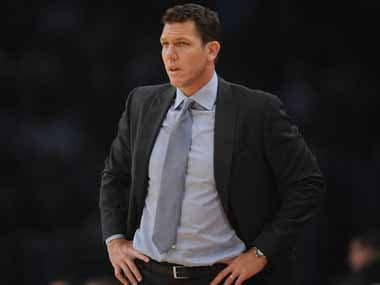 Los Angeles: James Harden missed all 10 three-pointers he attempted, snapping his 32-game streak with at least 30 points as the Houston Rockets defeated the Atlanta Hawks 119-111 on Monday. Harden finished with 28 points after missing Saturday's victory over the Golden State Warriors with a neck injury. He said at practice earlier on Monday that he was still bothered by the neck problem. Harden reached 28 points with 23 seconds left in the fourth. 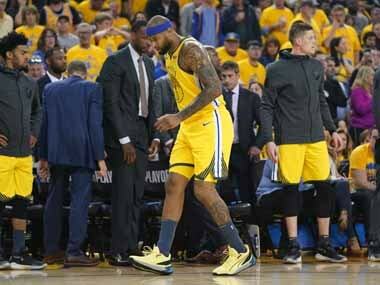 He even had the ball near halfcourt on the last play of the game, but unlike previous games during the streak, he did not attempt to pad his scoring total. Harden last finished shy of 30 points on 11 December against the Portland Trail Blazers when he tallied 29. 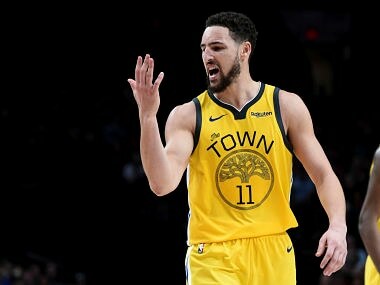 During the streak, he scored 50 or more points four times, including a career-high 61 in a win over the New York Knicks on 23 January. "It was cool but I knew I wasn't going to get to No 1," Harden said. 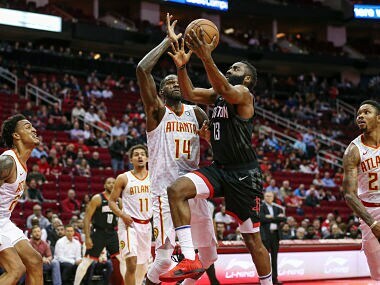 The Rockets had to overcome a career-high eight three-pointers from Hawks rookie Trae Young, who finished with 36 points. LeBron James had a triple-double and made history despite shooting just eight of 23 from the field.